1. Supports Windows 95, 98, ME, NT4, Windows 2000, XP, Vista & 2003. 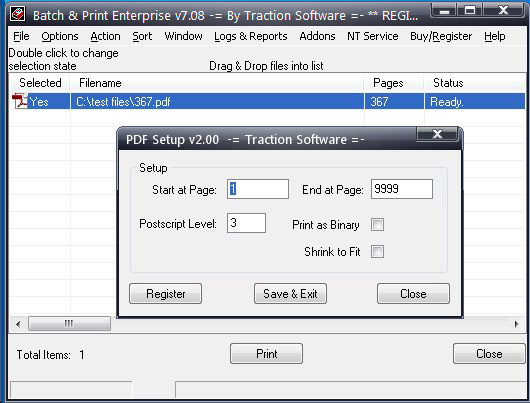 PDF Addon $30 - Full Acrobat 5 or greater std/pro required.